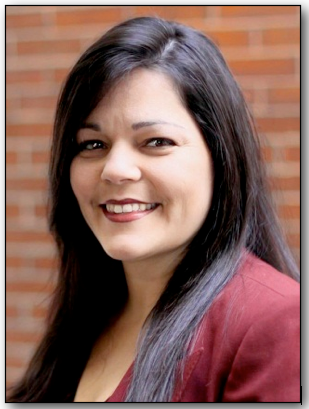 Georgianna Melendez is the Interim Chief Diversity Officer in the Office of Diversity and Inclusion at the University of Massachusetts - Boston. She also serves as the Executive Director of the Commonwealth Compact, an organization committed to making Massachusetts a world leader in diversity and inclusion. She previously worked as the Executive Director of Casa Myrna Vazquez, leading the agency, its operations and programs to reach more than 20,000 women and children who are affected by domestic violence. Georgianna has more than 12 years experience in the field of domestic violence. Georgianna received her bachelor's degree from Bentley University. Gary Morton is the Director of Give with Liberty initiative of the Liberty Mutual Foundation. Liberty Mutual is a fortune 500 company with over $28 Billion in revenue. He received his Bachelor of Science degree in Finance from Bentley University. He subsequently completed his Master's of Science Degree in Global Management. As a recipient of the McCallum Graduate Leadership Scholar Award, Mr. Morton also completed a MBA with a triple concentration in Operations, Technology and Real Estate Management and is currently completing a doctoral degree focusing on Project Management. Mr. Morton is also the Owner and Principal Broker for the firm Real Estate Professionals. Together with his wife, Sinan, he has established a family based Day Care Learning Center in Boston. He is the Immediate Past President of the Boston Chapter National Black MBA Association and one of the first alumni of the association's Leaders of Tomorrow youth program. Gary Morton is a longtime supporter of the Multicultural Symposium Series and the Multicultural Conference. Karen S. Hinds is a consultant, author of four books, and Founder and CEO of Workplace Success Group LLC. Workplace Success Group LLC works with individuals and companies to position emerging leaders to discover, master and operate in their own distinctive power to stand out and move up personally and professionally. Some of her clients include Frito-Lay, Harvard Business School Executive Education Program, The Bank of New York Mellon and Turner Construction. She writes a weekly business column for an international newspaper and appears as a guest on radio and television programs. Karen has been quoted in Black Enterprise Magazine and featured in The Boston Globe. She was nominated for the Woman Entrepreneur of the Year by the Connecticut Chapter of the National Association of Women Business Owners and won the Micro to Millions business award in 2008. Poised to ContributeBefore starting Workplace Success Group LLC, Karen worked as a tour consultant for EF Educational Tours and won a Watson Foundation Fellowship, conducting research in the Caribbean. She has worked with the Boston Private Industry Council and its financial services partner companies to grow a new workforce through collaboration with the Boston Public School System. Karen’s experiences have positioned her to explore what employers need in an employee and what it takes to be a successful contributor in an organization. She has worked with her team of experienced associates to position talented professionals to realize their full potential. Karen is from the small Caribbean island of St. Vincent and the Grenadines and is a graduate of the Boston Public Schools and Bowdoin College in Brunswick, Maine. Karen lives in Connecticut with her husband and son.